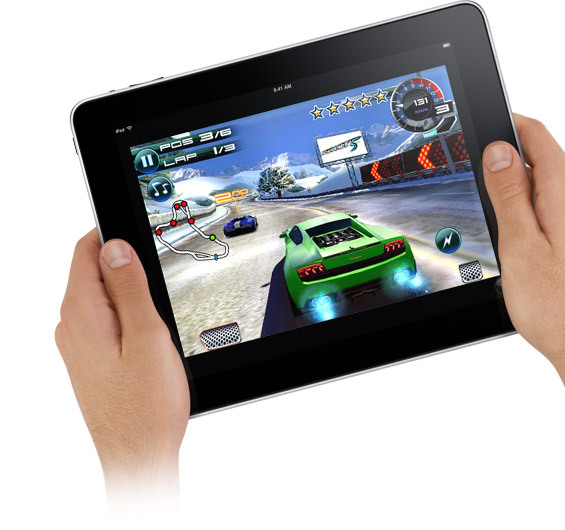 Gaming Apple’s iPad: How Well Will Video Games Play on the Device? 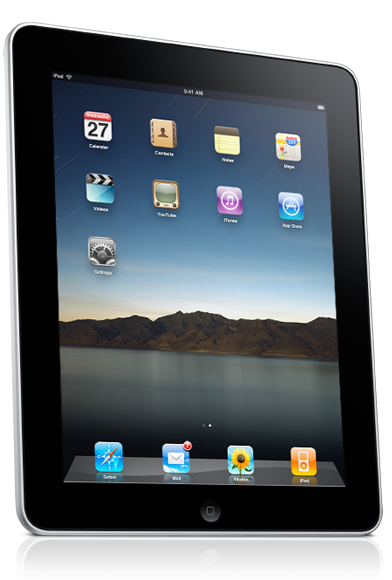 Given that Apple’s new iPad tablet computer runs nearly all of the iPhone’s 140,000 apps (over 20% of which are video games), plus can power even more advanced 3D graphical experiences as well as enhanced versions of these titles and first-run platform exclusives, let’s be honest. The question we should be asking isn’t whether or not the iPad will make a decent gaming device, but rather just how long it’s going to take for it to capture players’ imaginations and actually take off. With 30,000+ hit titles from Peggle to Space Ace and The Secret of Monkey Island: Special Edition – not to mention a boatload of off-brand clones, indie gems and homebrew experiments – currently populating the App Store, make no bones about it. Taking the iPhone’s user-friendly touchscreen controls/online storefront and marrying them with beefier hardware that’s able to better handle behind-the-scenes number-crunching and 3D graphics processing functions can only be a positive. Still, as demonstrated by the decent, but relatively lackluster recent showing of outings like Electronic Arts’ Need for Speed: Shift and Gameloft’s N.O.V.A., both anticipated to see enhanced releases (boasting better visuals and multi-touch input) on the iPad, let’s be honest. This isn’t a gizmo fans of Crysis 2 or God of War III will be rushing out to trade their PC or PlayStation 3 in for en masse anytime soon. Offering more mid-range gaming capabilities than anything else (and certainly results superior to the average smartphone and netbook), we’re most intrigued by features such as wireless broadband connectivity, a slick-looking LED 9.7 inch touchscreen and overall enhanced processing performance. Areas where the iPad offers immediate room for improvement are in games where graphics, speed and overall wow factor are major elements, e.g. first-person shooters, racing games, role-players and real-time strategy titles. Going forward, it’s not hard to picture versions of Torchlight or Supreme Commander designed specifically for use with the iPad tablet, helping to undermine PCs’ control of certain genres. Or, for that matter, grand-scale social or premium free-to-play and MMO games that take the most advantage of the hardware. Happily, game developers themselves are definitely excited for the platform’s launch, as indicated by the likes of Pangea Software’s Brian Greenstone, who applauds Apple’s decision to power the device with the iPhone operating system (OS). According to him, this doesn’t just mean you won’t have to buy dozens of favorite apps and games all over again. It also makes several studios’, whose games are designed on Macs, then visually scaled back to work on the iPhone’s less powerful hardware, easier to upgrade and port right over. As such, he doesn’t just think the iPad’s larger touchscreen presents some amazing potential for developers to innovate in new gameplay areas. He further thinks that games for the platform “will fly” in comparison to the iPhone, given its superior hardware, and that it’ll be easy for new development teams to jump right onto the scene. But of various traditional game developers we polled, such as Fallout 3 director Todd Howard and Worms maker Martyn Brown, expectations were more moderate. 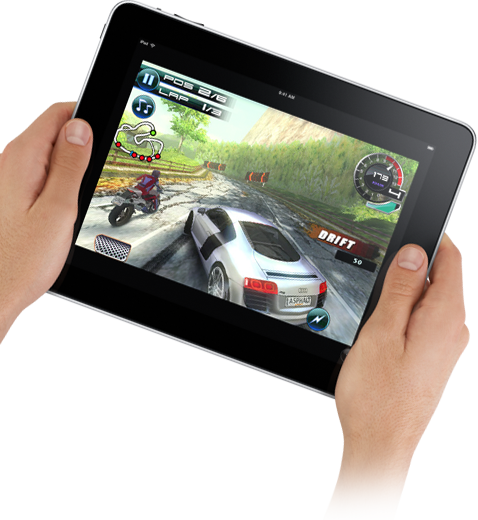 It’s basically expected that while the iPad will offer a superior gaming experience to the iPhone, and anything seen previously on tablet PCs, reason (and commercial realities) will ultimately prevail. Translation: Yes, you can expect to see game offerings that are more on-par with those traditionally reserved for laptops than portable consoles such as the DSi or PSP Go. But as for now, while titles on-par with World of Warcraft might be a possibility for the device (heck, even those with in-game purchases, multiplayer support and social component), well… Let’s just say we wouldn’t go touting Apple’s iPad as ready to dethrone traditional gaming platforms, or expect it to post up virtual amusements the likes of Starcraft 2 and Heavy Rain, anytime soon.